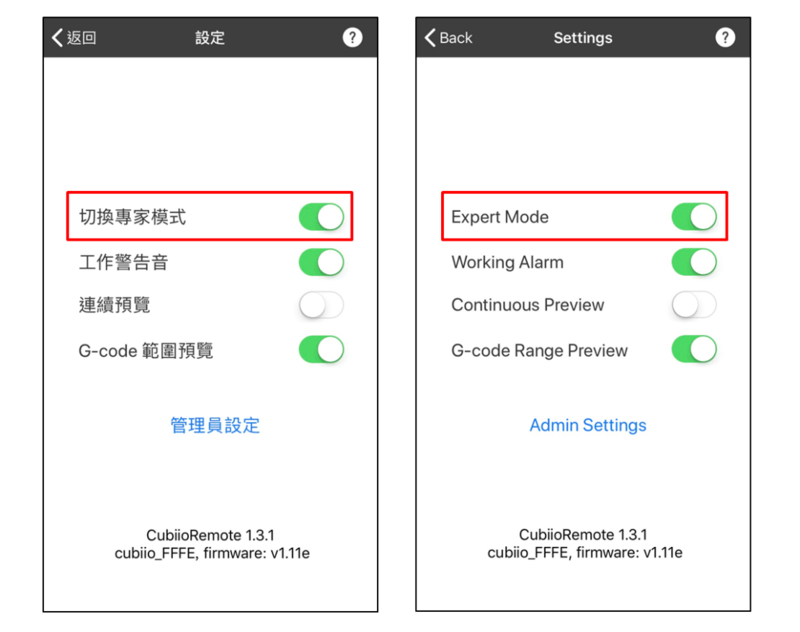 Read and abide by the user’s manual and all instructions in CubiioRemote APP. 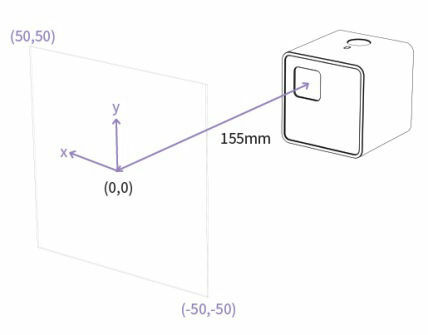 Mount the laser module on a rigid body such that it cannot be moved unintentionally. Set working sample in front of the laser module and keep the distance 155(+/-5)mm. 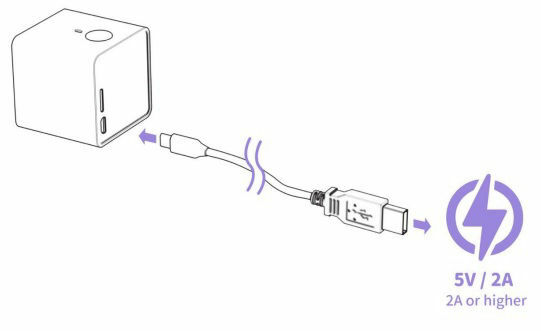 Use a stable 5V/2A or higher power supply; it can be a CubiioShield, charger head, power bank, or others. If you are operating Cubiio laser module on CubiioShield, please put CubiioShield onto the base again. You should hear 2 click sounds if get in the correct position. If you have done the setup and want to test laser module alone, please go settings and turn on Expert Mode.